Our hotel maintains a relaxing atmosphere while providing quality service that meets high standards — all at reasonable rates. The spacious and cozy accommodations here are complete with elegant wood accents and a set of key amenities, such as Internet connection, a cable TV, and private toilet and bath with hot and cold shower. Featured facilities for added convenience include a KTV bar, spa, restaurant, swimming pool, and Deli Fresh, our in-house gourmet coffee and pastry shop. To make your visit more hassle-free, we also provide practical assistance through airport transfer, daily housekeeping, and laundry service. Our stylish rooms and suites, with soothing earth tones, calming lighting, and carpeted floors, exude the comfort of a peaceful sanctuary. Here, you will enjoy access to an array of essentials, including an NDD and IDD phone, hair dryer, and air-conditioning. You can also grab refreshments anytime with the coffee and tea maker, and mini-bar. 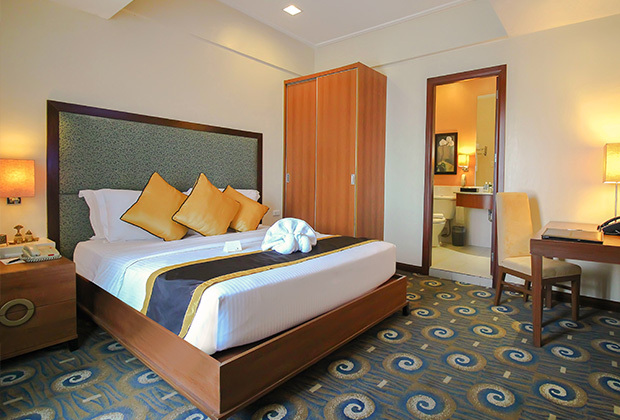 Moreover, each room features an electronic door lock system that ensures the safety of all guests. 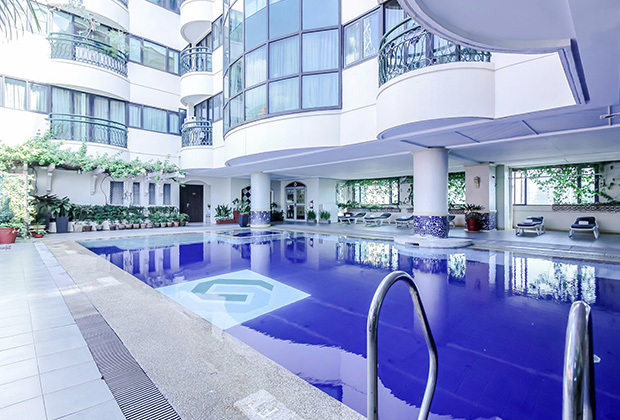 We are committed to providing a most fulfilling accommodation in Makati City. Aside from the relaxing rooms, our fitness center and a couple of excellent dining venues also offer utter pleasure. Business travelers will appreciate the assistance rendered at our business center and function hall. 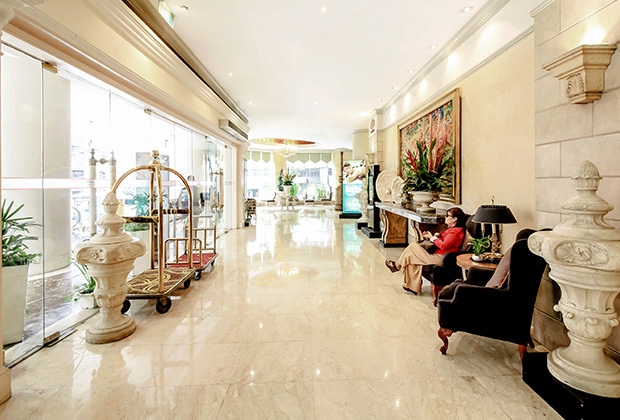 Other conveniences including ample parking spaces, daily provision of local newspapers, and uninterrupted power supply keep our guests at Makati Palace Hotel satisfied. If what you seek is a most convenient base when visiting Metro Manila, then our accommodation is for you. From our address at the intersection of P. Burgos and Caceres Streets, you can easily visit some of the most interesting sites in Makati, such as the Rockwell Center, Ayala Shopping Center, Ayala Museum, and Greenbelt Chapel. And because public transportation terminals are easily accessible from Makati Palace Hotel, exploring nearby cities is always easy.